A perfect gift for the perfect ambassador of your strongest emotions. 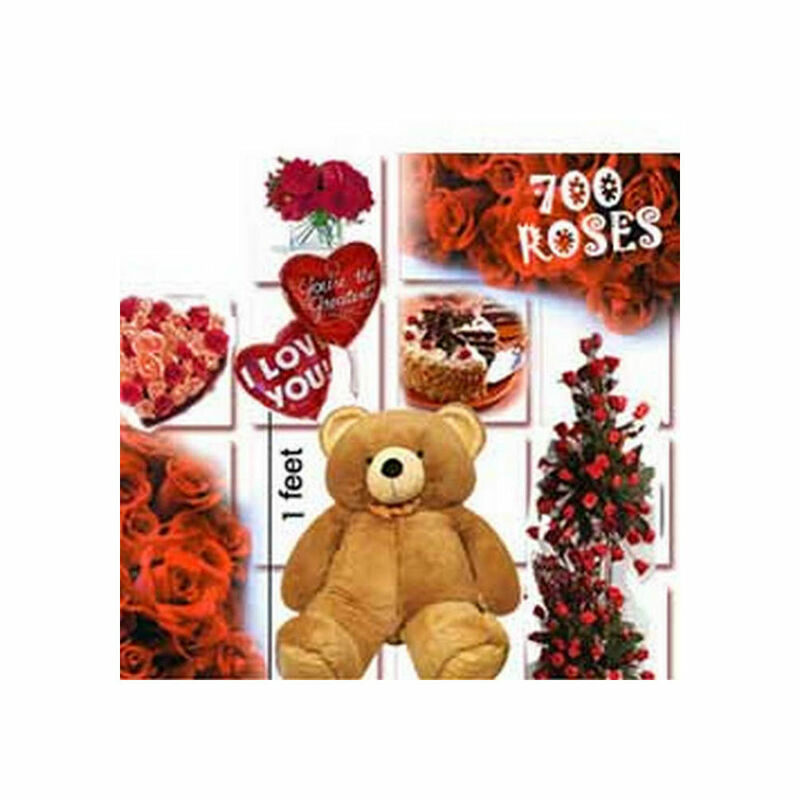 The Hamper includes 4 feet tall arrangement of 100 roses, 20 different arrangments containing 30 red roses each , (Total quantity of red roses will be 700) 2 feet high teddy bear from Archies..& 1kg blackforest cake..alongwith 2 heartshaped baloons. We cannot commit the exact time for delivery.